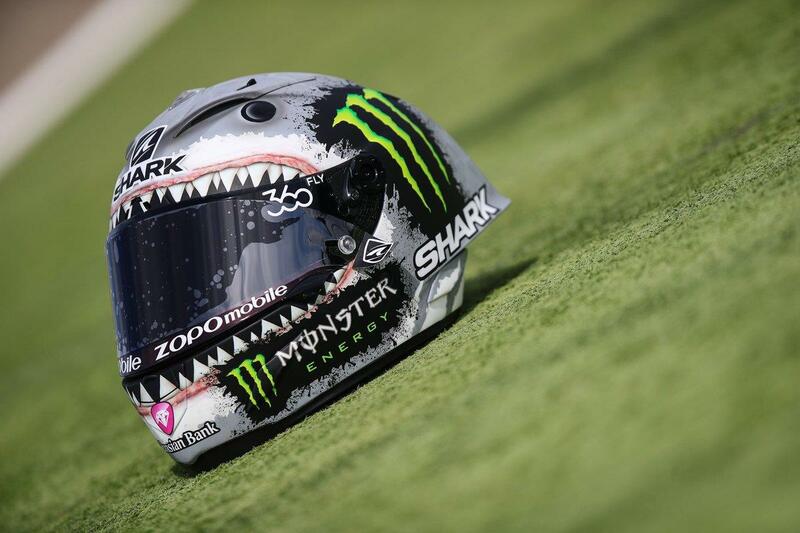 ﻿ MotoGP: Lorenzo takes on Rossi with shark-themed helmet? 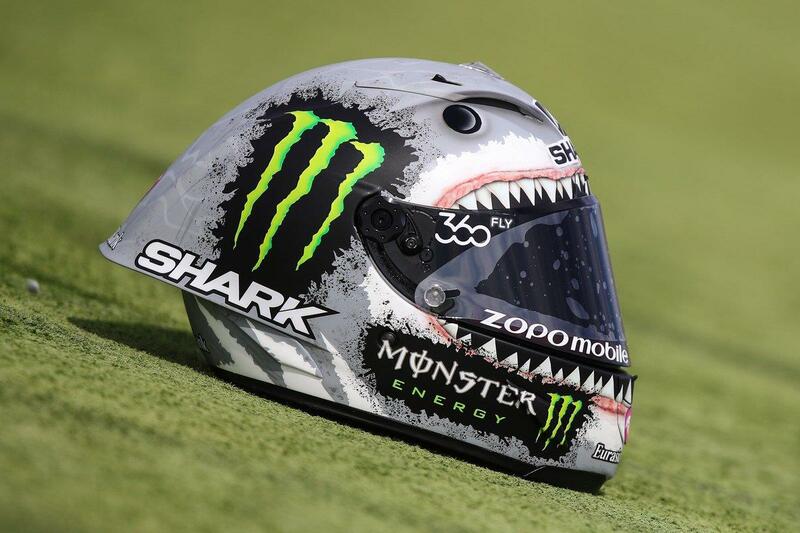 MotoGP: Lorenzo takes on Rossi with shark-themed helmet? 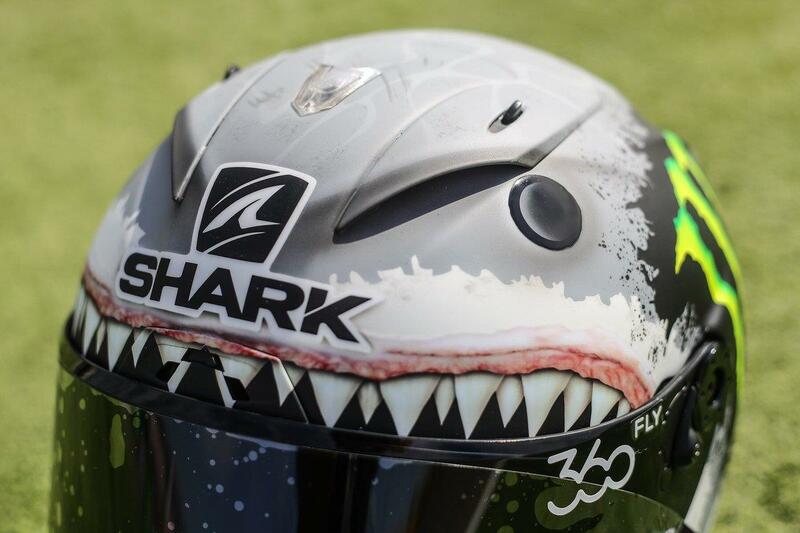 Jorge Lorenzo has revealed the special shark-themed Shark helmet that he’ll use for this weekend’s Aragon round of the 2016 MotoGP championship. 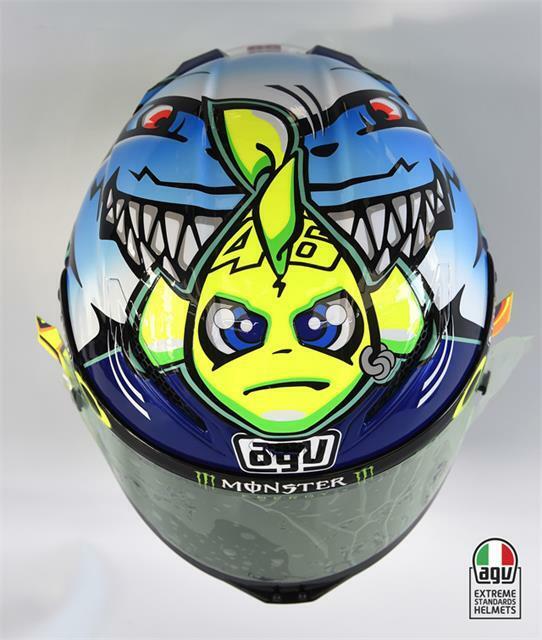 And while the reigning champion has yet to comment on the inspiration for the lid, it could well be a shot back at teammate and bitter rival Valentino Rossi. 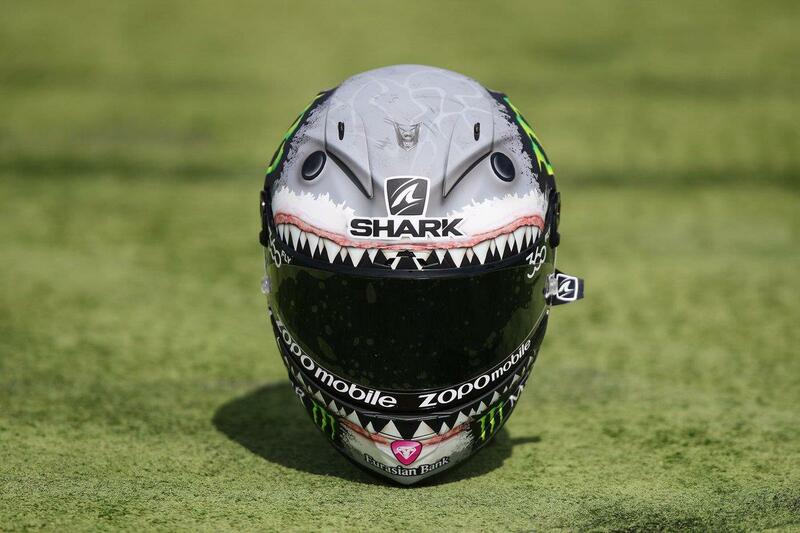 The duo clashed both on track and in the press conference after last weekend’s San Marino Grand Prix – a race where Rossi ran a special helmet representing himself as a minnow being hunted down by a shark!